If a design of straight simple lines and a contemporary look is suited for you, look no further than this spectacular marble fireplace. Pure white is a perfect colour to display this fireplace’s straight lines and simplicity, but if this isn’t for you be sure to ask a member of our team about other available colours. 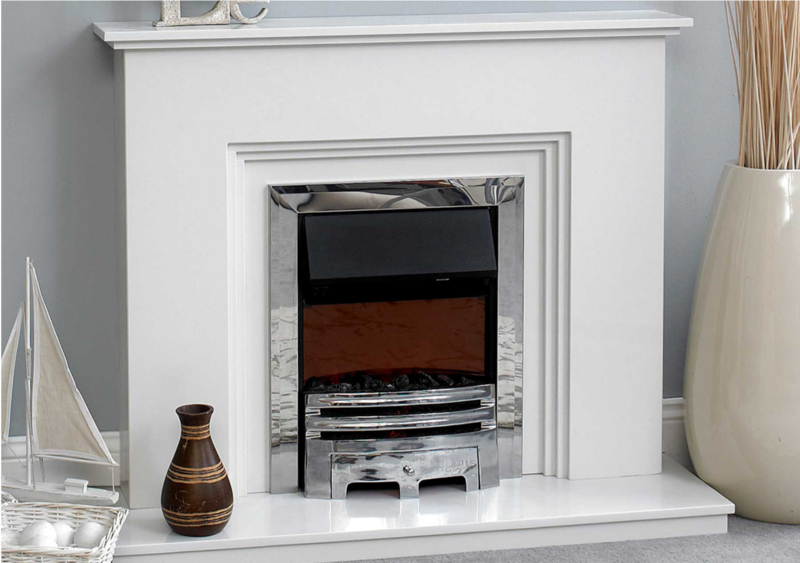 A marble fireplace design suited for any of our Inset Gas Fires and Inset Electric Fires.